If India wants to secure its interests, the government cannot avoid addressing the challenge of growing China-Pakistan nexus. In the aftermath of the Pulwama massacre, the entire nation is grappling with an emotionally charged atmosphere. There is a relentless call for surgical strikes or a precision attack on select enemy targets. Actions always speak louder than words. While all the focus is on Pakistan, China is equally culpable for the Pulwama assault. India must focus on exposing China’s vacuous rhetoric on counter-terrorism cooperation with India while simultaneously shielding Pakistan’s export of terrorism. For this, New Delhi must take some innovative steps. A flexible toolbox of non-kinetic approaches should become available to confront the enemy on all fronts simultaneously. Clearly, what China seeks from India is that until the boundary dispute between them is settled, no Indian leader should visit Arunachal. Since China has no intention to resolve the boundary dispute in foreseeable future, this is an unacceptable and untenable stance. It has become a Chinese habit to oppose visits of Indian leaders to Arunachal Pradesh, which it considers a part of its Tibetan territories, on highly ridiculous, illogical and spurious grounds. As its economic and military strength is rising, China has no qualms in claiming territories long held by other countries. Therefore, in the wake of the Pulwama carnage, Prime Minister Narendra Modi must, among other measures, take two intertwined steps to indicate India’s hardening resolve on terrorism. The first step is to hold the next union cabinet meeting in Itanagar, the capital of Arunachal Pradesh. This move will bring India’s ineffectual approach towards China, particularly since the Wuhan summit, to an end. It would send a strong signal to ‘Emperor Xi’ that Indians are not scared of China. It needs to be recalled that Indonesia’s president Joko Widodo had held a similar top-level cabinet meeting on board a naval warship that clashed with Chinese fishing vessels in 2016. This was a defiant strategic gesture aimed at sending a strong message to China that the Natuna Islands were a part of Indonesia’s territory. There is little doubt that the so-called ‘Wuhan spirit’ has only served to add more reluctance on India’s part to challenge Chinese aggression against India’s national interests in South Asia. Moreover, diplomatic backing by Beijing has been crucial in frustrating India’s efforts at the United Nations to put Jaish-e-Mohammed’s (JeM) Masood Azhar on the list of banned terrorists. 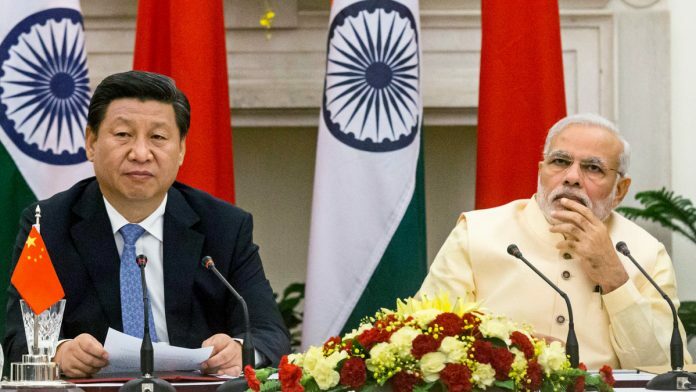 Sitting pretty inside a giant bubble of hypocrisy, China has even discussed with India how to strengthen counter-terrorism cooperation between the two countries. Since the Chinese are not willing to cooperate with India to put pressure on Pakistan, there is no point in being excessively cautious about Chinese sensitivities. The second step is to hold an all-party meeting in Srinagar. After the Pulwama attack, the government held an all-party meeting in New Delhi, which demonstrated a remarkable unity in fighting against terrorism. The Srinagar meeting should be a follow-up, where the government can explain the military and diplomatic measures it discussed in Itanagar to put pressure on Pakistan. Needless to say, Pakistan has turned into an Islamic republic of grand jihadist delusion, which is responsible for pushing its security establishment further towards dangerously reckless actions against India. Following Imran Khan’s elevation as Pakistan prime minister, there is a constant reference to the military and the civilian leadership being on ‘one page’. This may have boosted Rawalpindi’s confidence to direct efforts aimed at making Indian polity more fragmented as the country gears up for a bitterly contested general election. One of the reasons the JeM carried out the devastating terror attack in Pulwama was to provoke Indian security forces into taking reflexive measures against Kashmiri population, thereby increasing their alienation with India. Holding an all-party meeting in Srinagar will not only signal India’s firm resolve in defending its territorial sovereignty to the world, including China and Pakistan, but also go a long way in winning the confidence of the local population in Kashmir and check further alienation. This meeting will be a befitting reply to those who seek to provoke and polarise the country on communal lines. Both China and Pakistan aggressively seek to change the territorial status-quo in South Asia at India’s expense. If India wants to secure its interests, the government cannot avoid addressing the challenge of growing China-Pakistan nexus. These two steps may seem innocuous amid growing talk of surgical neutralisation of key terrorist leaders across the border. However, these steps carry enormous symbolism and can contribute towards taming China-Pakistan intransigence. While dealing with violent jihadists and wily dictators, some ‘out-of-the-box’ thinking is imperative. Mahendra L. Kumawat is former Special Secretary, MHA, Govt. of India and former DG, BSF. Vinay Kaura is assistant professor, Sardar Patel University of Police, Security and Criminal Justice, Rajasthan. Taming China-Pakistan intransigence is a laudable proposition. Brilliant analysis and valued suggestions indeed. Kudos to authors! Situation is very difficult. Due to Saudi Arabia U.S is inclining toward Pakistan. India must develop closed relations with Iran without any delay. Our relations with U.S are at best commercial.